Lecturer in Nutrition, Philosophy of Healing, Clinical Studies and Diagnosis, Pharmacology. Currently lecturing at University of Western Sydney. I Have been a Lecturer for 15 years through the three major colleges in Sydney - Australasian College of Natural Therapies, Endeavour College of Natural Therapies and Nature Care College. During the 1960s to the 1980s, I had an extensive history running Nuclear Medicine Departments in various hospitals around Australia. In 1980 I studied Natural Therapies and for the last 22 years I have worked as a Naturopath, initially in my own practice in partnership, then for the last 12 years in a holistic medical (GP) practice as a Naturopath, Homoeopath, Herbalist, Nutritionist at Pymble Grove Health Centre. Since 1996 I have also been working with a private pathology and research laboratory - Australian Biologics and Fayworth Health Centre in Pitt Street, Sydney. Practising in these clinics has given me an extensive range of experience with a variety of conditions. I have a particular interest in Women's health, in regaining health after life threatening conditions such as cancer in both men and women, and in neurological disorders. I speak publicly for various organisations such as Canhelp, the Older Women's Wellness Network, Hilton Healthstream's Integrated Naturopathic Services, Cancer Support Groups and through the Oncology Departments of selected Hospitals. I also receive regular invitations to present papers at conferences including the Dietitians Annual Conference, the Epilepsy Association Conference, Breast Cancer conferences etc. In 1995 I was an Executive Board Member of Health Network Australia - a Federal Government Initiative set up in an advisory capacity for the Natural Therapies (Complementary Medicine) profession. In March 1998 - I organised seminars and was a speaker at Parliament House - 'Your Child's Health: Why Natural Therapies Are A Good Choice' for the Hon. Alan Corbett, MLC. In March 1999, I stood (by invitation) for the Legislative Council NSW Elections. I was on the Board of the International Cancer Association Network - Secretary, Research Officer and Board Member from 1994 to 2001. 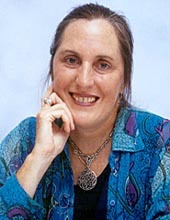 I have been an Examiner and Board Member of the National Herbalists Association of Australia, and on the Academic Review Committee, for the Bachelor of Naturopathy at Southern Cross University, Lismore. I have been a Consultant to the manufacturing industry for many years. I have written for various publications - Prevention, Today, Inside Vitamins. In 1999, I Australianised a book for Reader's Digest - on Vitamins, Minerals and Herbs, and am currently writing two chapters for a textbook on Complementary Medicine. I have also written the textbooks for the three Nutrition modules at University of Western Sydney for the Bachelor of Naturopathy, and Herbal Resource Book.